In all 15 CEO of PSBs from the two regions will participate in the meeting to discuss the way forward for the Indian banking system. 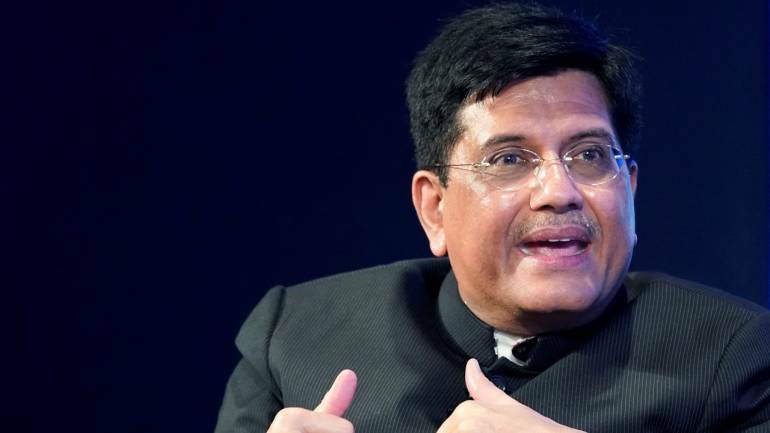 Finance Minister Piyush Goyal will meet heads of public sectors banks (PSBs) based out of western and southern regions tomorrow to resolve various issues concerning them. According to sources, the meeting is being organised by State Bank of India (SBI) and will be chaired by Goyal in Mumbai. In all 15 CEO of PSBs from the two regions will participate in the meeting to discuss the way forward for the Indian banking system, they said. This is the first meeting with the heads of the PSBs after their annual financial result for 2017-18. Most of the banks posted loss in the fourth quarter of the last fiscal. The Nirav Modi fraud-hit Punjab National Bank (PNB) alone posted a loss of Rs 13,416.91 crore for the quarter ended March 31, the largest ever quarterly loss by a bank. PNB provided for Rs 7,178 crore, 50 per cent of the total amount of Rs 14,356 crore liability with regard to Nirav Modi fraud in the fourth quarter of 2017-18. The remaining amount will be covered in the three quarters of the current fiscal year. It is followed by the country's largest lender SBI posting Rs 7,718 crore loss for the January-March period, more than twice the Rs 3,442-crore loss reported for fourth quarter of the previous fiscal. The jump in losses follows Rs 24,080-crore kept for provision towards bad loans after the RBI scrapped all loan restructuring schemes. The banks also had to make a Rs 4,761-crore provision towards depreciation in the value of its bond portfolio. Besides, almost all banks reported increase in non-performing assets due to February 12 guidelines of the Reserve Bank of India (RBI). All lenders will be required to put in place Board- approved policies for resolution of stressed assets under this framework, including the timelines for resolution, it had said, adding, "As soon as there is a default in the borrower account with any lender, all lenders - singly or jointly - shall initiate steps to cure the default." In addition, sources said, the issues concerning banks which are under Prompt Corrective Action framework of RBI would also be discussed. Out of 11 PCA banks, 7 from these region are part of the framework. The 11 banks on the RBI's watchlist are Allahabad Bank, United Bank of India, Corporation Bank, IDBI Bank, UCO Bank, Bank of India, Central Bank of India, Indian Overseas Bank, Oriental Bank of Commerce, Dena Bank and Bank of Maharashtra. Together, these banks accounted for Rs 52,311 crore of the Rs 88,139-crore capital infusion plan (through bonds and budgetary support) announced by the government for 2017-18. As per the revised PCA guidelines released last year, if a bank enters Risk Threshold 3, it may be a candidate for amalgamation, reconstruction or even be wound up. Among the many metrics that are used to gauge how weak a lender is are capital, net NPAs, RoA and Tier 1 leverage ratio etc.